In 2018, the millennial generation is expected to become a productive age community and has become financially independent. 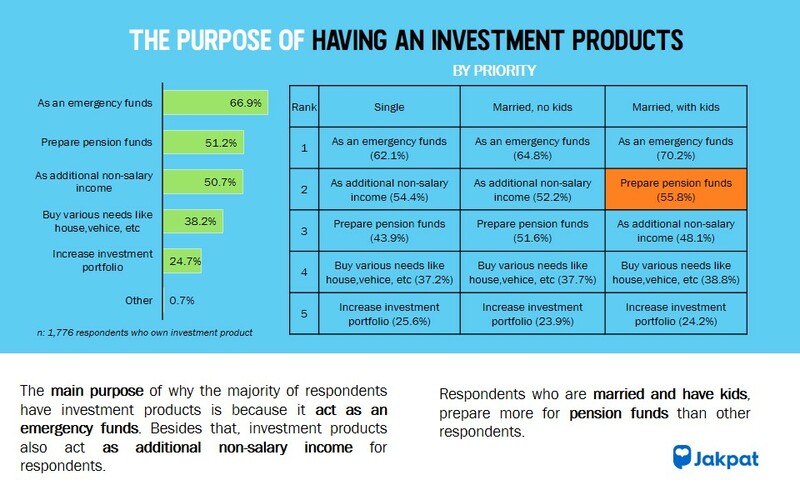 Along with the financial independence that has been achieved, many of them need strategies to manage their personal finances. 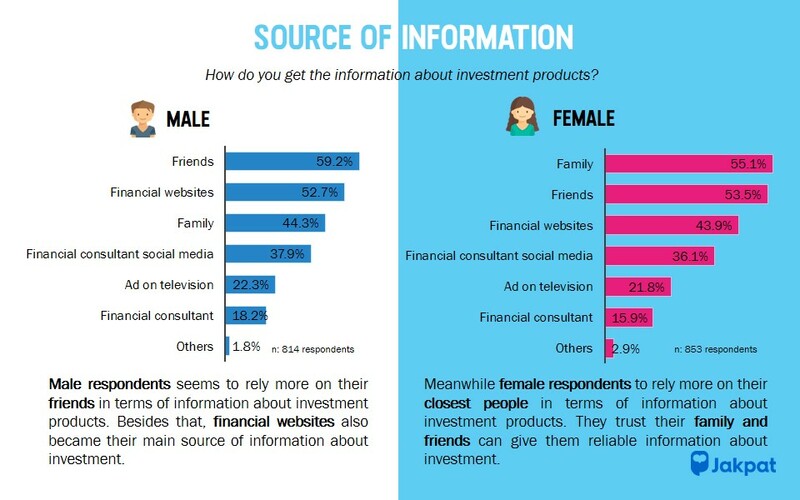 Investment is one of the way for millennials to manage their finances and at the same time make a profit. The trend of investment in Indonesia itself is quite stable from year to year with savings and deposits being one of the most popular investment instruments. 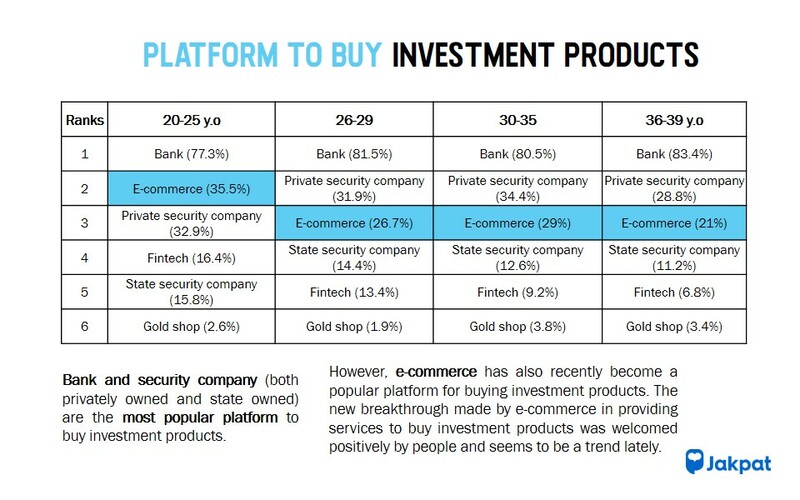 However, with the existence of millennials that have different behaviors with other generations, of course there are differences in preferences for investment products. 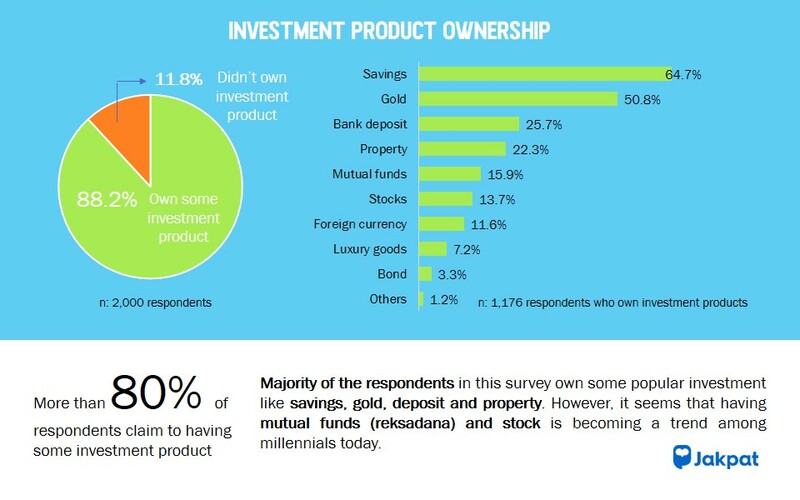 In order to capture this issue, JAKPAT conducted a survey about millennial investment preferences by asking 2,000 respondents nationwide. This entry was posted in Financial on January 29, 2019 by Fauziah Khoiriyani.